Crafted for the busy man who is fastidious about his appearance, this Sleek watch from Titan Sonata is just the thing to acquire. 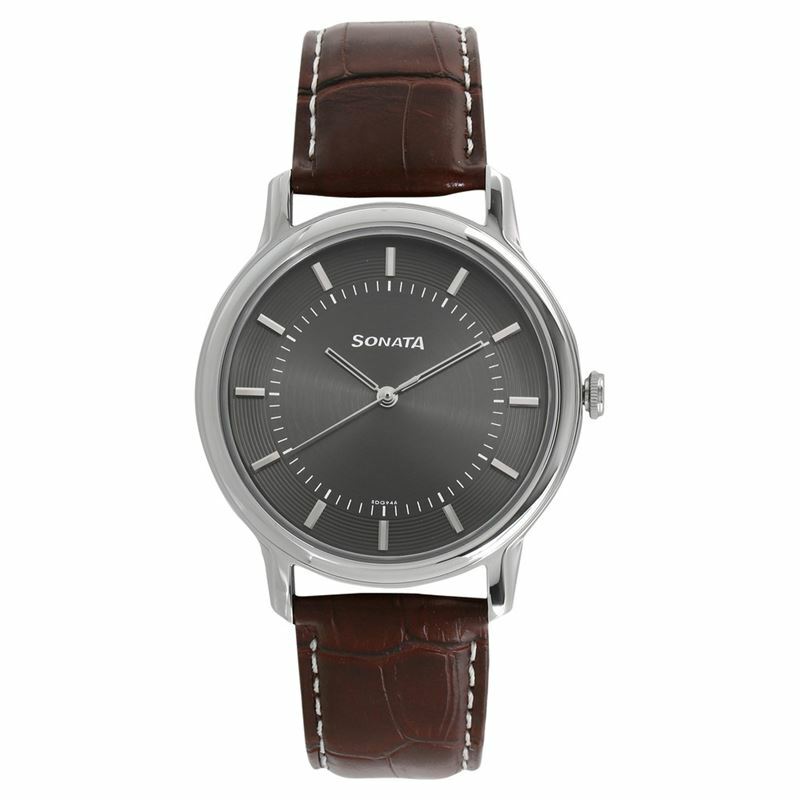 Slim and stylish, the analog watch features an anthracite black dial in an ultra-slim stainless steel case. The silver-coloured hour marks stand in sharp contrast against the black dial and provide for easy viewing. The dial is paired with a handsome brown croc leather strap.